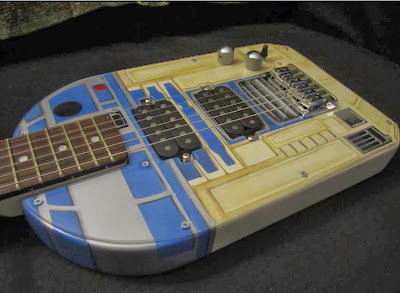 Collection of 'Creative Guitars and Unique Guitar Designs' from all over the world. 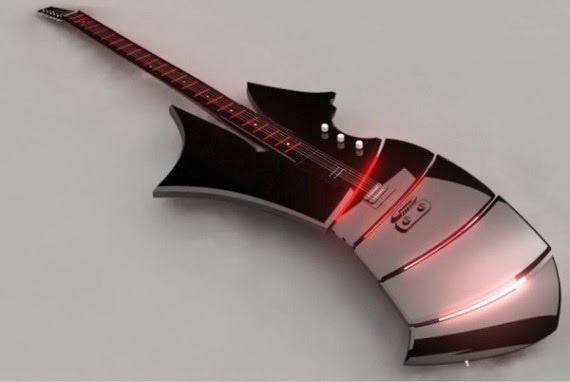 gTar: The gTar is a fully digital guitar that enables you to play music quickly and easily. 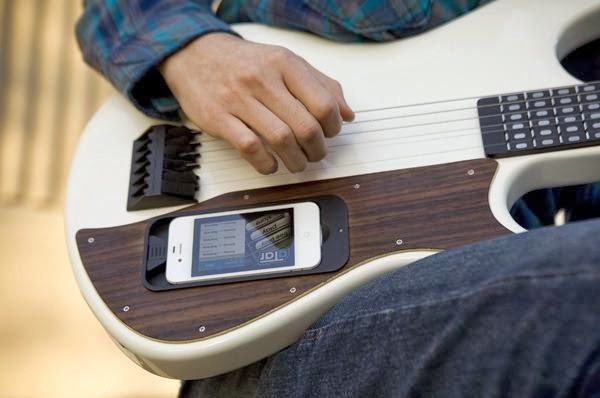 All you need to do is dock your iPhone in the body of the gTar, load up the gTar app, and an array of interactive lights along the fretboard will show you how to play. 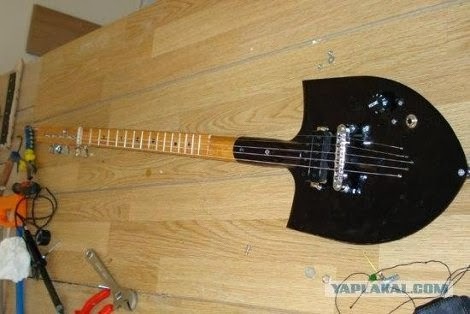 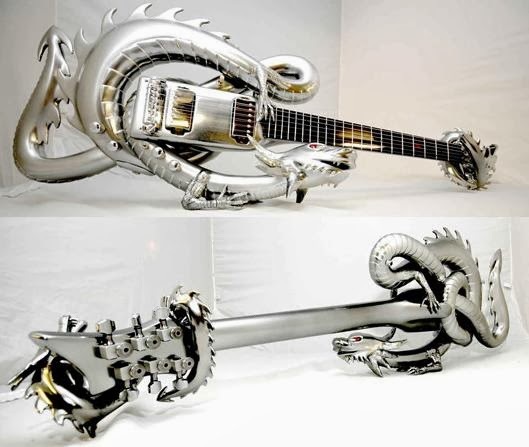 Shovel Guitar: This guitar is made from a regular shovel. Leaf Guitar: The guitar features 22 fret Hard maple neck, rosewood fingerboard, medium fret wire, sealed large tuners and oiled neck for that worn in feel. 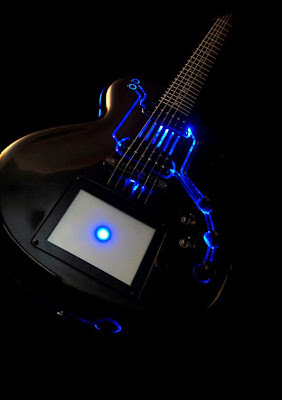 Touch Sensitive Guitar: The guitar has Touchskin surface in the neck, drum and wheel that allows you to play your favorite tune. 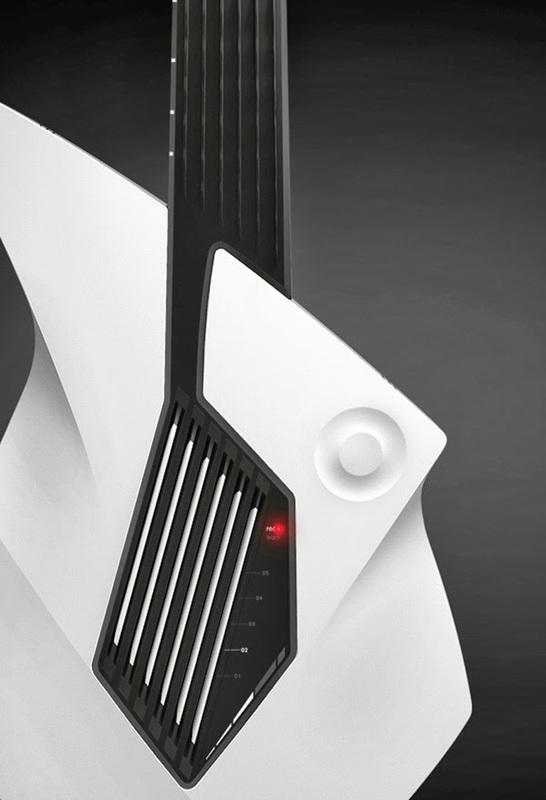 Spiral Electric Guitar: Steven Almond designed this Spiral Electric Guitar. 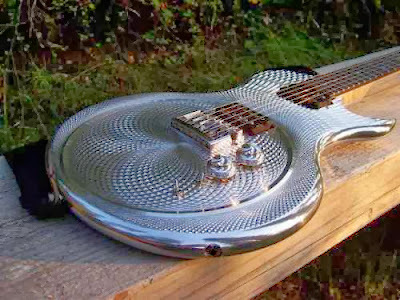 Chrome Guitar: This unusual guitar is covered in chrome. Dragon Guitar: This Dragon guitar is the creation of Emerald Guitars. 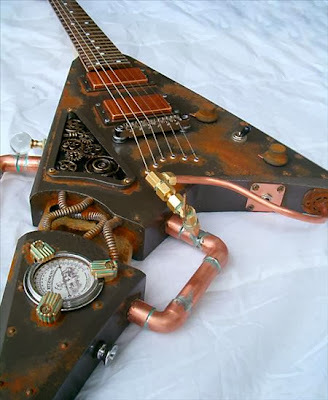 Steampunk Guitar: This cool guitar is made from copper pipes, gauges and gears. 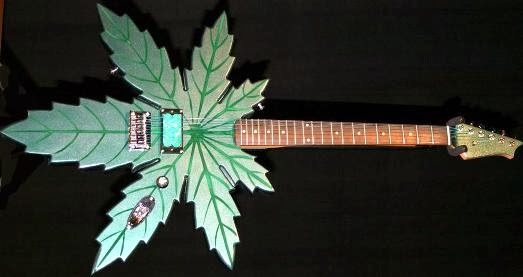 Sprinkler guitar: In early 90's an old electric guitar was modified with miscellaneous metal objects including a lawn sprinkler. 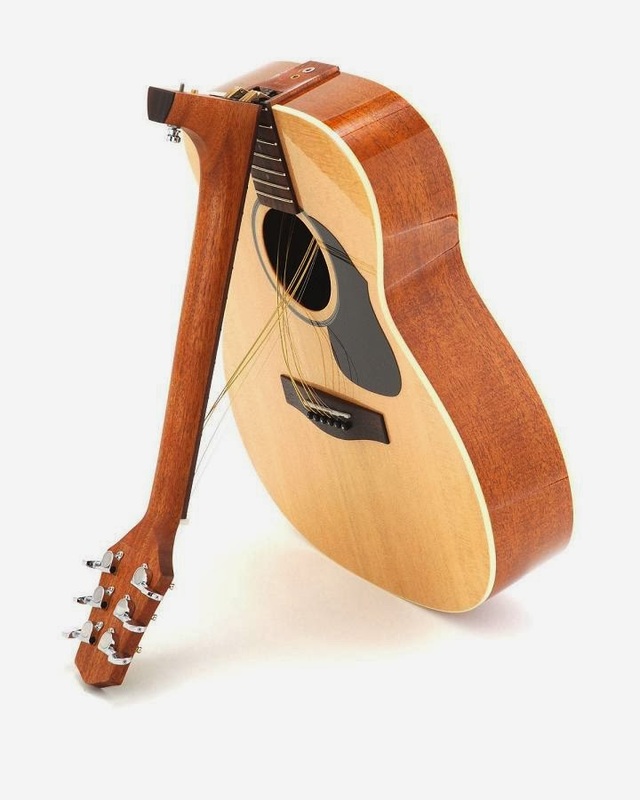 Folding Neck Guitar: It's a VAOM-04 folding orchestra model acoustic guitar of Songwriter Series from Voyage-Air. 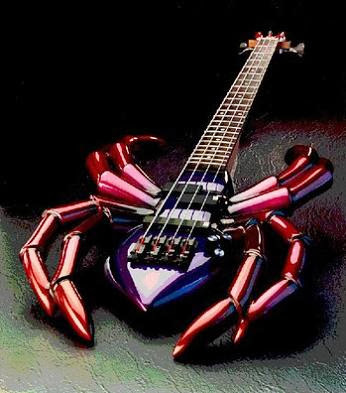 Tri-Bass: The tri-bass has just three 'strings', the neck is touch sensitive and has no buttons. 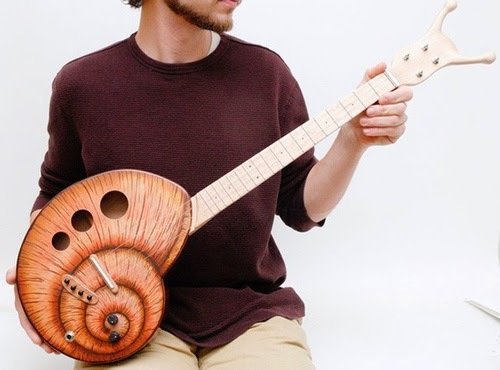 Snail Guitar: This handpainted Snailele is made from maple. Tron E-Guitar: Tron E-Guitar by Hutchinson Guitar.